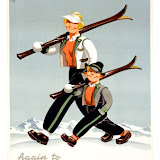 Austria holidays, Salzburg, Kaprun, Zell am See and so much more: Austria Skiing all year Round? 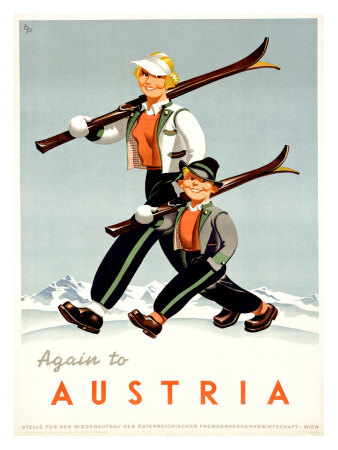 Austria Skiing all year Round? Skiing is a winter sport right? well yes but there are opportunities to ski into the winter, spring and even the summer. The skiing won't be as extensive and the weather won't be as cold, but it is certainly possible to ski outside the recognized ski season of mid December to the Easter holidays. In Austria there are a number of glaciers in the Tyrol, but the only glacier ski area in the Salzburg area is the Kitzsteinhorn above Kaprun close to Zell am See. The facilities on the top of the mountain come newly refurbished with even a cinema complex now added. If you are selective a choose an area where there is glacier skiing, the attached article "Summer Skiing in the Austrian Alps" gives plenty of suggestions to make the most of the opportunity to get in that extra ski holiday, or perhaps the start of a ski career by having a lesson or two! A place to summer ski is on the Kitzsteinhorn rising to 3203 metres with a glacier so it is possible to extend your ski season and ski on in April, May June and beyond weather dependent further on into the year. In some years weather dependent it is possible to ski most of the year round. In the case of the Kizsteinhorn, it normally shuts down for weeks in the summer when maintenance takes place on relocating the ski lifts which have been sliding down the glacier! Kitzsteinhorn glacier normally open from October through to June or even July for Skiing!! The lifts for skiing at the Kitzsteinhorn are operating all year round - the first ascent is at around 8.15 a.m.
the very top (at approx 2900 metres) of the glacier are operating – approx. 3,5 piste km slopes. The number of open lifts and pistes is always depending on the actual snow situation. 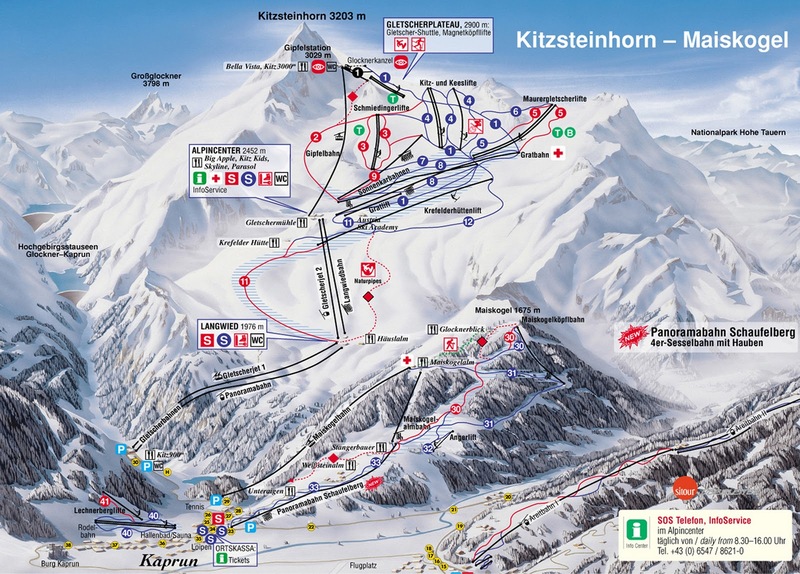 Then they can tell you the exact piste situation or you can also have a look on http://en.kitzsteinhorn.at/news/openedlifts.htm. For further information and the Live-Panorama from the Kitzsteinhorn please have a look on www.kitzsteinhorn.at.You will also find out more about events, weather, snow and the feeling, to be 3000 meters above it all. 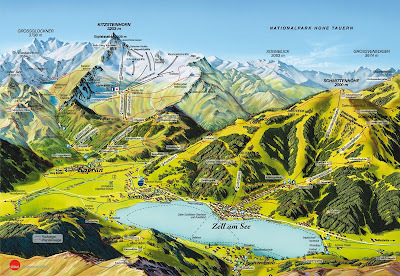 For an interactive map of the Kitzsteinhorn in the summer click on the attached map link where it is also possible to use it to plan your alpine walks. Many spring and summer visitors, like to take up the opportunity of an extended ski season, but they also like the possibility of a combination of activities. Skiing, walking, a round of golf or even two for at the Zell am See, Kaprun golf courses there are two 18 hole championship golf course! Other possibilities are cycling, swimming in a mountain lake in one of the local spas or pools. In the case of Kaprun and Zell am See there is the new Tauern-Kaprun-Spa world, which opened in November 2010. In Austria there are 8 glacier ski areas, where it is possible to have an extended ski season. The majority of of the resorts are in are in the Austrian Tyrol area, with the Kitzsteinhorn being in the Salzburg area, and the Molltaler Gletcher being in Carinthia. 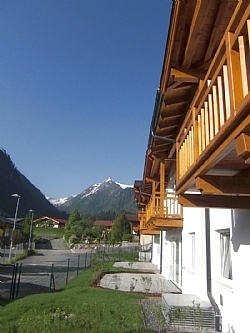 For further information on somewhere to stay please see www.austria-holiday-apartment.com The apartment sleeps from 3 to 9 persons with a view of the Kitzsteinhorn glacier from the terrace. With a view of the Kitzsteinhorn. As we go on to the top mountain regions we can find the heavy snow where we can ski for a long time in the luxury ski holidays to enjoy more. I read full blog n really it is very useful blog for everyone.